AS IT STANDS: What Happened to the 'Woodstock of American Rallies'? What Happened to the 'Woodstock of American Rallies'? 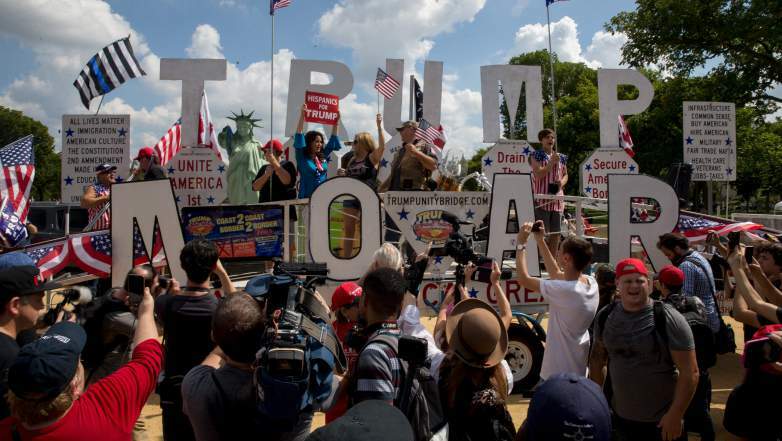 Did you happen to see the "Mother of all Rallies (MOAR)" in Washington DC's National Mall Saturday? It wasn't exactly inspiring, to put it mildly. Trump supporters have been planning for a huge rally to support the Liar-In-Chief for months. At first, they boasted there would be a million supporters of Donny's polices attending MOAR. 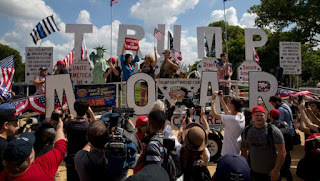 A week before the supposed "Woodstock of American Rallies" the organizers downsized the projected attendance to 10,000. When the big day came...there were less than a thousand people walking around with Trump "Make America Great Again" hats, and signs. They were a colorful group to be sure. Many were dressed in red-white-and blue costumes that could have been raided from an old performance of Yankee Doodle Dandy starring James Cagney. The organizers said they were sending a message to the world that mainstream Americans must be heard. That statement obviously came from a warped cult that sees themselves as 'Average Americans." Actual Mainstream Americans weren't tuned into the MOAR fiasco Saturday. Nielson ratings show they were watching college football. If the organizers were dismayed by the dismal attendance you'll never know about it. Leaders from alt-right groups were the featured speakers. As of press time, I haven't been able to get any attendance statistics for any of the 30 other rallies that day - including one staged by Juggalos who say they need to be taken off the FBI's terrorist watch list. Was it a coincidence that side-by-side rallies were sponsored by clowns? There was some concerns there would be trouble. Everything went fine, however. Mere blocks away, there was a counter protest opposing white supremacy. Near the White House, there was a protest against Russia’s election interference.